I have written before on my complicated relationship with reading logs; from being a teacher who demanded all students fill them out, to a teacher who threw them out, to a teacher who was asked to use them as part of their teaching, to a teacher whose students asked them to stop, to a parent who has signed them. I have written about what to do instead of a reading log. But I have never written about how to use them better. Because I don’t like reading logs, there I said it, but at the same time, there are so many teachers that do, great teachers that care about children’s love of reading, and there are even teachers that have to use them. And I don’t feel that shaming others will further the conversations. My biggest issue with reading logs comes from the inherent lack of trust that they communicate; we do not trust you to read every night, we do not trust you to read long enough, we do not trust you to grow as a reader, so fill out this paper instead. And while I could write a whole post on that, I think Jessica Lifshitz did a much better job on it than I ever will. Keep it in class. When I had to do a reading log in my former district, we kept it in class. Students were asked to write down title and for how long they were focused on the book right after independent reading. That way, organization and parent follow up were removed from the equation and all kids (and me) were following the district expectation. Make it an experiment. If you like using reading log to find out student habits, then do it as a 2 week experiment with all students. Have them for 2 weeks keep track of when, where, what, and how much they read and then have daily or weekly conversations and reflections on what they discover. Set tangible goals from that. Do it periodically throughout the year if you really want this to be seen as a learning opportunity, that way students can see a value in tracking their reading life this way. If you have them do it all year, most students lose interest and will not see it as an opportunity to grow but just as one more thing to do. Leave time for reflection. Rather than log, we reflect. My students set monthly reading goals and then at the end of the month they reflect on how they did. The students and I will meet and discuss formally and informally and this is what I use for my vantage point into their reading life. I ask them to tell me what they are working on and they do. 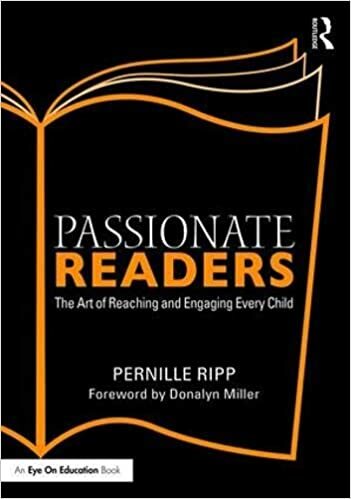 In the end, in our pursuit to establish classrooms filled with passionate readers, we must make sure that the things we do, even little parts of our day like reading logs, do not do more harm than good. That we fit our processes around our students, rather than the other way around. That we continue to debate, question, and consider as we decide what to invest our time in. And that we always, and I mean always, ask the students what they think. Even the little ones, they have a voice that matters too. 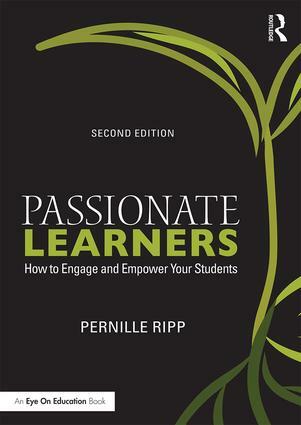 If you are looking for a great book club to join to re-energize you in January, consider the Passionate Learners book club on Facebook. We kick off January 10th. Next postHow Do We Know Who We Don’t Even Know? Great post. I go back and forth on this and have yet to get it right. The best years were years I had runners and birdwatchers and others come in and talk about how important their logs were–how keeping track of everything as a runner helped her reflect and she loved her logs. So many real life logs. I can’t imagine being a reader without some type of a log. The issue is–who is the log for–the teacher or the reader? Great conversation. Thx! I teach reading and my son in 3rd grade has not turned in a reading calendar all year. Sometimes I feel bad that he could be missing out on an activity or made to feel inferior because he didn’t return it. But when the time comes to turn them In I have no idea where it is. I don’t feel right just filling in minutes, so we don’t do it. We read. He loves joke books and non-fiction on bugs and other gross things. I want him to pick up a book because he wants to, not because he has to. Having spent the past five years signing off on a plethora of reading logs, I consider them imBOREtant work: boring to the student and parent, but important for the teacher. Students will make reading logs due diligence if that is the attitude of the teacher. If teachers have very high standards of ALL their students, then as a parent, I should not have to fill out a reading log. I should see the pages turning at home. I see my child wake up at 6am and run to the living room couch to read his book, his eyes still focusing to the light. I’d like to take a picture of that and send it to the teacher as evidence of reading. Log that. This was a though-provoking post! I do use reading logs, but only for the students to keep track of the titles and genres and how long it took them to complete the book. Nothing for parents to sign! I was wondering what kinds of reading goals/ reading reflections your students do? I’m interested in having my students do something along those lines. I’d love to hear your suggestions/examples. 1. Students could read any genre they wanted. Any. 3. I taught them how to time themselves reading one page and how to complete a few calculations to determine an approximate “due date” for their self-selected book. 4. Students turn in a half-page Reading Contract to me. 5. I check-in weekly with the entire class and have informal conferences as often as time permits. That’s it. I have never had so many students begging for SSR time or stopping me between classes to chat about their books. My students are readers! They can’t wait until the next Book Talk and have recently created Good Reads accounts so they can connect with one another about recommendations! They tell me they have never read so many good books in one school year. Many tell me that this is the first time they ever considered themselves readers. Giving students the opportunity to choose their nightly reading material, taking away the loathed tasks and showing them that I am invested in their reading habits has made all the difference. What do they write on their reading contract? Do they do any sort of reading response? Thanks! On the front side I ask for the basic book information (title, genre, number of pages, author, etc.) However controversial lexiles are, I also ask them to include the lexile of the book. This is only so that I can look for patterns of students choosing books that are too challenging and end up abandoning them. Then I know that we need to spend more time finding a “just right” book for that reader. I also mix the contracts up with different prompts. For example, I might ask them to make a prediction or ask a question. I try to make the contracts quick….the whole point is to not make reading a chore…..but at the same time, I am able to follow up with my readers by asking if their predictions panned out, or if they were able to answer their questions. It’s enough to get a conversation started in the class check-in or during a private reading conference. On the back, I have a fill-in-the-blank template that helps them calculate an approximate due date, based on how long it takes them to read one page. Once they get used to the system, it only takes them about 5 minutes to complete a contract and turn it in to me. As a teacher in South TX at a school with 95% Hispanic demographics, I always wondered if my use of Accelerated Reader to motivate and encourage reading was as bad as some librarians seemed to think it was. I didn’t do Reading Logs or book reports because I didn’t want my students to associate book reports with reading or to kill the joy of reading for my students. i just wanted to quantitate their reading in some way for my reflection as a teacher and to empower them to set, achieve, and surpass a goal. At first I used rewards, but after a while it was about the reading not the rewards. I love to read and I wanted them to pick up the habit of reading everyday. My students set the number of AR points they would try to attain each week and then raise it at the end of each school quarter or not. If they attained their goal by Thursday they had the choice of free time or the normal SSR on Friday. Their only Reading homework was to read 30 minutes each night with a book or magazine of their choice. They had to try to keep their AR testing at 80%, read at or above their expected grade level average and attain 225 points by the end of the year. If there was any cheating I deleted their points and they started over. I only had to do that once. The school required that parents sign that nightly reading had been done. I was also a number cruncher like the author of this blog. By the end of the year the class had read over 12,000 points worth of books, nearly double the class goal. We didn’t do the STAR test, just the tests on the books. They shared good reads,talked authors and genres and good writing which they called a book having good “guts”. After 15 years of doing this and crunching the numbers I noticed that when students read as much as mine did, the state tests were a breeze for them. Many would come up and tell me they knew the answer to this or that because they read it in a book. We didn’t have to practice for the test or cram. Every single student passed every state test in all content areas, many got PHS(Post High School) in most areas of the Stanford 10, and many took ACT tests in 7th grade. BUT, the most rewarding event from all of this came when the superintendent of my school in TX went to St. Mary’s College in Boston to the graduation of one of my former students and when asked at dinner with her parents why she thought she was so successful in college, she said it was because I had started her on a habit of reading 30 or more minutes a night in 4th grade and turned her on to reading and that she still does this 16 years later. That was my answer to if it worked or not.